Food is served every day from noon to 9pm with a late night take away on Fridays 'til 10pm. The menu serves pub classics, cracking curries, our famous stone baked pizzas, local fish, and delicious puddings. Thin Based Pizzas Hand spun by our chefs and cooked in a stone baked pizza oven. Select from the extensive menu or choose your own topping. Texan BBQ temptations from The Jolly Smokehouse Head Chef Nick is the master of low and slow BBQ cooking with smoked hickory, apple and maple wood infusing their flavours on our menu. Nick’s Smokehouse brisket chilli con carne is cooked for 9 hours and served up with fresh baked corn bread, delicious. Classic prawns, ribs and BBQ pulled pork are also given the smokehouse treatment, bringing a bit of Texan home style cooking to north Norfolk. Good Honest Pub Classics There are also a host of good honest British pub classics, be sure to check out our daily specials board. 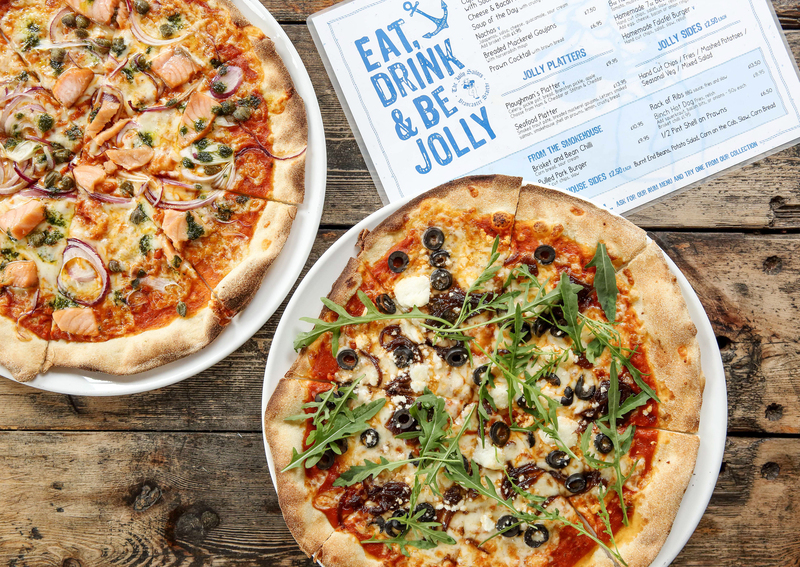 Take Away to keep everyone happy Well everyone is a winner thanks to The Jolly Sailor ‘Take Away Menu’, come and get fish & chips, curries, burgers and pizzas all wrapped up piping hot from our kitchen to yours (or even better, to the beach!). There is sure to be something for everyone. Available at food serving times. 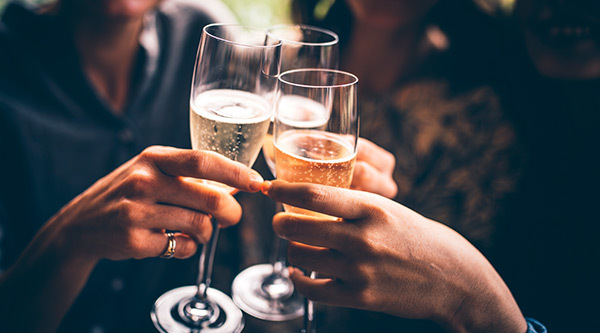 No booking required, unless you are a party of 15 or more, in which case call us on 01485 210314 to book. 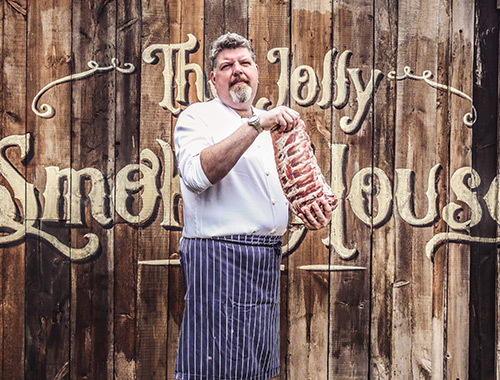 Nick is a gentle giant originates from London and has family links in Texas, which is why he is the king of low and slow cooking on The Jolly Smokehouse produce. He loves good honest food, that packs in flavour and doesn’t want anyone to go away hungry. So you are in for a tasty treat with generous portions from his kitchen.